Soprano Gabrielle Fisher teams up with Tenor Ben Loomes for an evening of songs by the Gershwin brothers, the master craftsmen of tunes and lyrics. 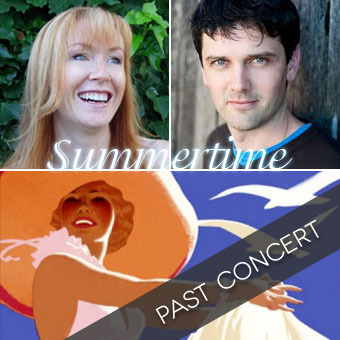 The program will include all your favourite songs such as Someone to Watch Over Me, The Man I Love, A Foggy day, I Got Rhythm and Summertime from some of the best loved musicals ever written. The solos and duets will be accompanied by background surrounding each song – some of which will surprise you! Venue: Cardinal Ceretti Memorial Chapel, St Patrick’s Estate, 151 Darley Rd, Manly. Parking is available at St Paul’s College in Darley Rd, opposite St Patrick’s Estate.